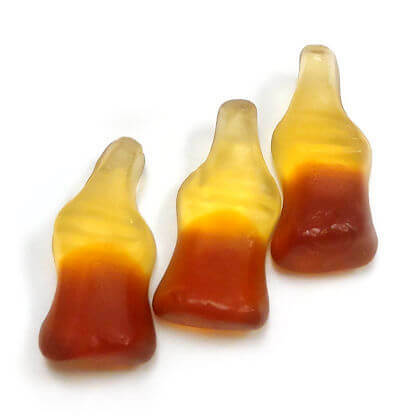 Cola flavored and shaped gummies. Imported from Europe by Haribo. Approx. 7 pieces per ounce. 10 oz.